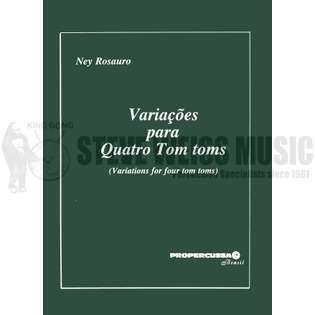 Variations for Four Tom Toms by Ney Rosauro consists of a theme and six variations and is a great choice for the beginning/intermediate percussionist. The work explores many different techniques used on drums, and is played with different sticks. Musicianship is easily expressed in this pedagogical composition. Composed in Brasilia, 1984 and dedicated to Marco Vidal Donato.